ReutersAl Qaeda fighters celebrate on vehicles taken from Iraqi security forces on a main street in Fallujah, 70 km (43 miles) west of Baghdad, on March 20, 2014. After Islamic State seized Falluja in January it persuaded a man making covers for cars to sell suicide vests instead, one of many changes in the Iraqi city as it adapts to life under the ultra-hardline Sunni militants. Islamic State is notorious for beheading or executing anyone who stands in its way when seizing cities and towns in Iraq and Syria that form its self-proclaimed caliphate, often using suicide bombers to make advances. 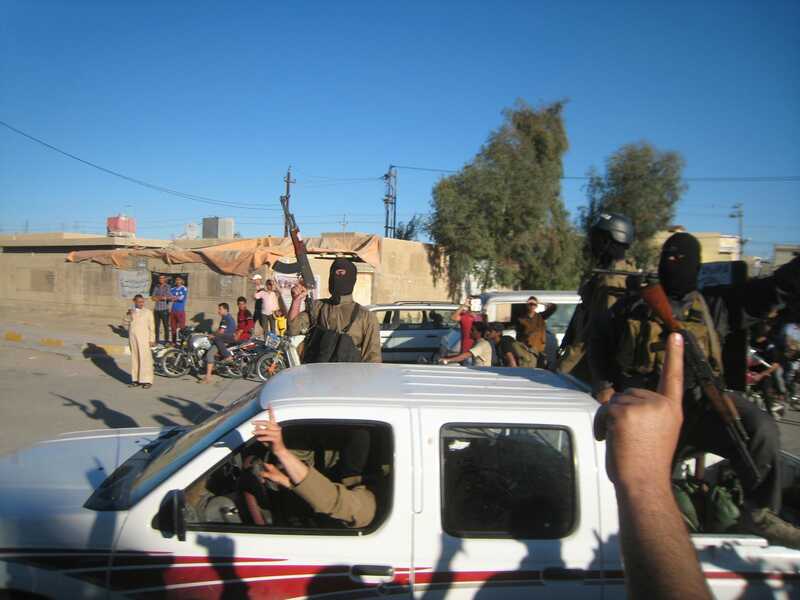 The militants have issued guidelines on life with their ideology, requiring all women to wear face veils, and banning the cigarettes and Western-style haircuts that were popular in Falluja before. Many residents feel alienated by the changes. But in order to keep the “empire” and its holy war against governments and armies going, Islamic State also strikes deals with people like the tailor, according to recent visitors to Falluja who spoke to Reuters in Baghdad by telephone. Islamic State provided a generator and free fuel, enabling him to boost profits and churn out suicide vests, belts and trousers from a building pockmarked by U.S. bullets used against al Qaeda nearly a decade ago. “I passed through hard times. I have children to feed. I chose this new profession willingly and I take responsibility for the outcome,” the tailor said. Like other people quoted in this story, his name has not been included for security reasons. Falluja was the first Iraqi city to fall to Islamic State, an al Qaeda offshoot comprised of Arabs and foreign fighters who have threatened to march on nearby Baghdad. 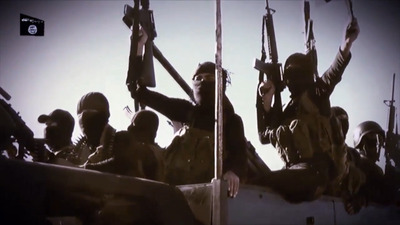 During the U.S. occupation of Iraq after Saddam Hussein was toppled in 2003, it emerged as the main bastion of the Sunni insurgency in western Anbar province and swiftly became an al Qaeda stronghold. The U.S. Marines fought over it with al Qaeda in 2004 in two of the biggest battles of the American war. A decade later, Islamic State is deeply entrenched in Falluja, making it one of the main examples of what life could soon be like across swathes of Syria and Iraq under its ultra-hardline ideology. The mainly tribal town in the Euphrates valley just west of Baghdad has long been a bastion of traditional religious and cultural practice. Even Saddam’s secular dictatorship was alarmed by Islamists there. But even its deeply conservative population has often been uneasy with life under Islamic State. All women who appear at the entrances of Falluja are given a free head-to-toe niqab, or veil, that they are forced to put on in a booth with tinted glass so that men can’t see them. Islamic State has guidelines on what is forbidden in pamphlets pasted on buildings and mosques across Falluja: no cigarettes or shisha water pipes as they might distract people from worship, no Western-style haircuts, no T-shirts with English writing or images of women. Women are not allowed to leave home unaccompanied by a male relative, a rule that has deepened frustrations. One witness recalled how a crowd gathered as a woman in her fifties who used to sell women’s underwear, clothes and nail polish shouted outside the Falluja Islamic State court, which rules on everything from crimes to disputes between neighbours. The woman was heading to the court to argue she should be allowed to walk alone because she is a widow and did not want to burden her brothers. She yelled at Islamic State militants just outside the courthouse. “You say God does not accept a woman going outside her house alone. Then how could God accept you killing people?,” a witness quoted the woman as saying. A militant responded. “We would decapitate you if you were a man.” The court ruled that she should be expelled from Falluja. She left with her belongings in a pickup truck and Islamic State took over her home. Young girls under 12, the cut off age for enforcing the niqab, must wear a headscarf. “Why do they force us to do something against our will? We were born free and it’s unfair to be treated like this,” said one woman whose six-year-old daughter was forced to wear a head scarf. Even shopfront mannequins must wear the niqab. In the once smoke-filled cafes where residents would puff on water pipes, discuss the day’s events and watch television, Islamic State now permits only sipping tea and viewing religious programs, said a cafe owner. One man inside a crowded city market said he had been caught smoking a shisha. Young people who once escaped from Iraq’s tragedies by working out at Falluja’s Golan Sports Hall have watched Islamic State turn it into an auction house which offers furniture, refrigerators and carpets taken from government employees. But while Islamic State has alienated some people with its methods, the group has also tried to win others over by providing basic services. Militants driving trucks with Islamic State banners water trees by the roadside. The group employs cleaners to remove garbage from streets with pavements painted to match Islamic State’s black and white flags. In Fallujah, even the subsidized flour at state shops comes in sacks bearing Islamic State’s logo. Aside from their efforts to run Falluja like a state, Islamic State militants see it as a strategic asset in their drive to redraw the map of the Middle East. U.S. airstrikes, which have failed to slow Islamic State’s advance in Anbar, have targeted the area around Falluja. Islamic State militants have changed their movements to avoid detection, as special security teams in black ski masks search for infiltrators. One witness said anyone caught filming is immediately surrounded, arrested and interrogated by Islamic State militants, mostly long-haired men who wear grey Taliban-style outfits, who are senior to men in beige. Fighters on the frontline wear black. Witnesses said the militants now travel in ordinary vehicles and motorcycles instead of pickup trucks mounted with anti-aircraft guns. Tanks and armoured vehicles seized from defeated Iraqi troops are covered by tree branches and hidden in strategic areas, the witnesses said. Despite the pressure of U.S. airstrikes launched after Islamic State made fresh advances in recent months and began beheading Western hostages, the Sunni militants seem firmly in control of Falluja. That means the tailor’s dwindling business should keep flourishing. He has bought a second sewing machine. The suicide outfits are made of tough waterproof material and come in black and beige. There are several kinds: one has chest pockets for explosives while another has pockets along the chest and upper back. The third has pockets hidden in trousers. All three are piled high on the pavement for lack of space. The militants load the material on to a truck and set off to prepare for the next mission. “I know that one day I may get arrested by (Iraqi) security forces. But they should know that I am doing this for the sake of my family,” said the tailor.